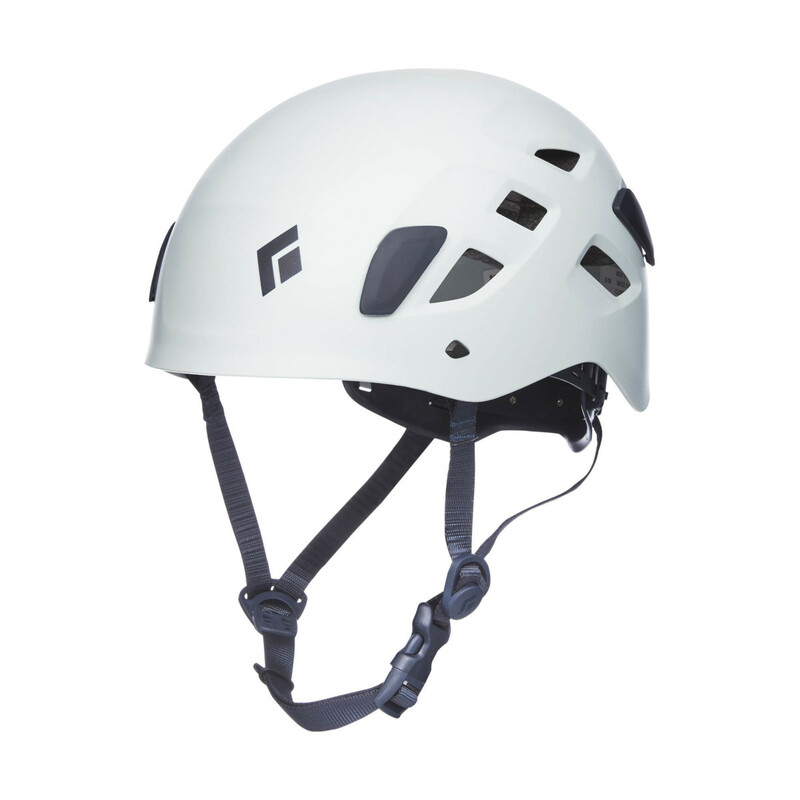 The Black Diamond Half Dome Helmet is a redesign of their most popular climbing helmet for 2019, now with a new lower-profile suspension system for added comfort and simplicity and an updated chin strap for more efficiency and security, but with all the same qualities that climbers loved from the first Half Dome. An all-purpose work-horse, the Black Diamond Half Dome Helmet sheds over 40 grams from the original model, with a one-handed dial adjuster for quick, secure, precise adjustments. Also features Black Diamond's helmet clips, the most secure on the market, which have been made more streamlined in this updated model. Perfect fit, great design, looks great! Love this helmet I bought in purple. The fit has a large size range, and lots of padding inside. This helmet is nice and comfortable, it sits nicely on my head and sometimes I even forget that it is there. I can recommend this helmet for beginners and for more experienced climbers since it has good value for the money. Surely there are some lighter and more expensive ones on the market, but this helmet if light enough that I haven't noticed it even on long multi-pitch routes. The ventilation is good too, which I just need on south facing walls. Got the blue one. The painting is not just a coated layer that some scratches could pick off. Bought this helmet for multi pitch trad routes mainly. The fitting is perfect with the tension dial at the rear of the internal fitting mechanism. It is very light on the head, even after wearing it all day. All at an (epic) price.